In 1839, Hampshire yeoman John Hewett died prematurely and left his wife and eight children to manage on their own. Times were tough, and after their landlord put their farm up for sale, Jane Hewett emigrated to Australia with all her children in 1850. 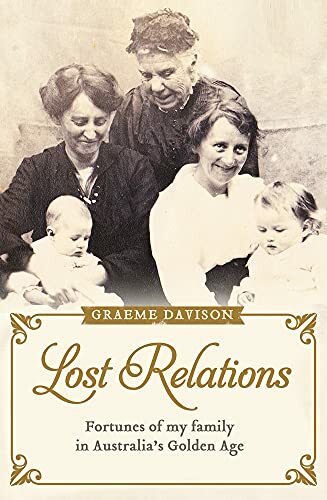 Graeme Davison traces the lives of two generations of the Hewett family, setting them in their historical context in both the UK and Australia. With scant family records, he draws on the full array of public records available in both the UK and Australia, showing as he works how a master historian weighs the evidence and pulls the story together. Throughout he reflects on the meaning of family history, but with a light touch that doesn't get in the way of the story. Through the Hewett family, he paints a picture of colonial Australia: migration of free settlers taking over from the convict period, the work available to men and to women, the gold rush, the rise of the railways, growth of farming. The rise and fall of family fortunes reflects the turbulent growth of the colonies during this period. He writes, "I did not look for skeletons in my family's cupboard, but once the cupboard was open, they simply fell out." Graeme Davison is Emeritus Professor of History at Monash University, and author of Car Wars and The Rise and Fall of Marvellous Melbourne, and editor of the Oxford Companion to Australian History.